Magnetic resonance imaging (MRI) is a special diagnostic test that produces very clear, detailed pictures of internal organs and structures in your body. The test uses a powerful magnetic field, radio waves and a computer to create images in cross-section. While an X-ray is very good at showing bones, an MRI lets your health care provider see structures made of soft tissue, such as tendons, bone marrow, ligaments and cartilage, and organs in your chest, abdomen and pelvis. Health care providers use MRI to diagnose problems in the brain and spinal cord, to see the size and location of tumors. It is often used to fully visualize and diagnose problems within your joints and other soft tissues. 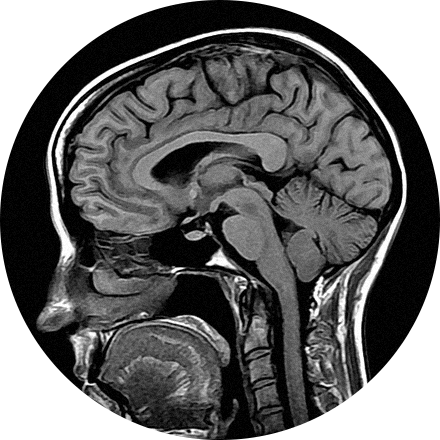 MRI is also helpful in diagnosing diseases and disorders of the eyes and ears. For example, an MRI may show whether you have torn ligaments or torn cartilage in your knee and help your health care provider decide whether you need surgery. It is also useful for injuries involving the shoulder, back or neck. You will lie down on a cushioned bed that moves into a donut-shaped apparatus that is open on both ends. If you get nervous when you are in small closed spaces, you can opt to have your MRI performed in a Wide-Open MRI which gives extra space around your body or an Open MRI that is a less enclosed space. Talk to your health care provider about this before you have your MRI. For some MRI scans, a contrast medium (gadolinium) is injected to highlight certain tissues for closer examination. This type of scan helps differentiate between healthy and diseased tissue, making it possible to accurately diagnose many diseases in their early stages. Most MRI studies take between 30 and 60 minutes and you will be able to communicate with the technician during the procedure. You may hear loud sounds while the pictures are taken. However, for patient comfort, we provide all patients with earplugs so that the noise is dampened. When the test is over you may go home. Your referring doctor will schedule a visit with you to discuss the results of your test. What are the benefits and risks of an MRI procedure? An MRI is able to visualize internal organs that are difficult or impossible to see with other diagnostic exams. There is no radiation, the exam is painless, and there are no harmful side effects. MRI scanners come in different magnet field strengths measured in teslas or “T”, usually between 0.5T and 3.0T. The higher the “T” the greater the image quality and resolution. However, too much detail can be inappropriate or unnecessary parts of the anatomy. MRI scanners also come in varying sizes including open and wide-open.